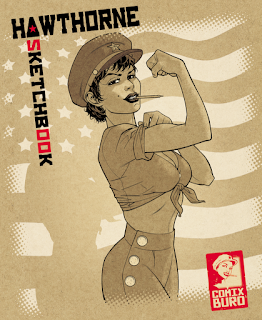 Mike Hawthorne: Upcoming Sketchbook cover finished! 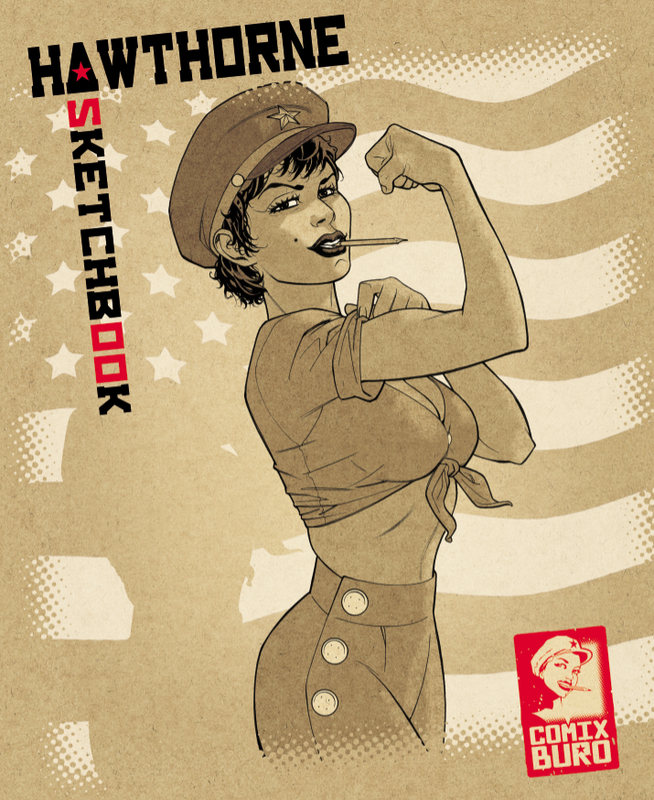 Remember the sketchbook I said is coming from the Comix Buro? Well, here is the final cover (with some special design touches by Olivier Vatine). Stay tuned, I'll be posting all the ordering info when it's available. Looking forward to it. Are any distributors going to carry it, Mkie, or will it just be a direct order thing? I was thinking my local comic shop might like some copies. Charles - You know, I'm not sure... I think they mostly do direct orders but I'll have to find out if they work with a distributor. In any event I'm sure they don't work with a US one, so I'll have to see if there is a way to work that out.